Wealthy foreigners seeking the federal EB-5 investor visa have fueled more than $2 billion in local real estate projects. Federal program: Annually allots about 10,000 permanent-residency visas to foreigners and their immediate families, if they invest in a U.S. enterprise that creates at least 10 permanent, full-time jobs. Investment: $1 million, or $500,000 in specially approved areas with high unemployment. 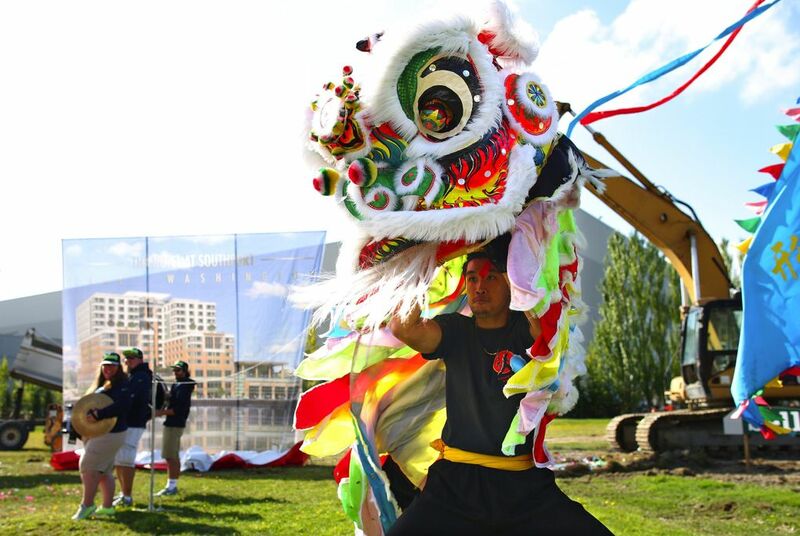 Local impact: EB-5 capital backs at least $2 billion in current projects in the Puget Sound region. To state and federal officials, however, the backers of the $440 million Fifth & Columbia project present it as right in the middle of an area with double-digit unemployment. The same goes for Stadium Place, a half-billion-dollar hotel, apartment and office project north of CenturyLink Field. 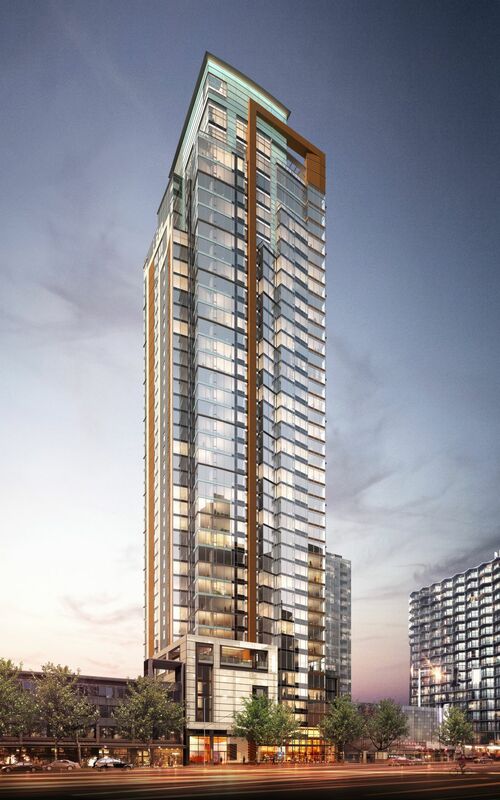 Ditto for Dexter Station, a $150?million office building near South Lake Union, and Potala Tower, a $190?million hotel project in the upscale Belltown neighborhood. How does downtown Seattle, the job center of the nation’s fastest-growing big city, become Detroit on paper? Why would a project be portrayed in such different lights? The answer is an opaque federal program, known as EB-5, that annually allots about 10,000 green cards, or permanent-residency visas, to wealthy foreigners who each invest $1 million in a U.S. enterprise that creates at least 10 permanent, full-time jobs. Few of them actually pay that price. Instead they use a loophole that cuts the price of a green card to $500,000 if they invest in a rural area or urban one with high unemployment. The discount was intended to create jobs in depressed communities. Wealthy people seeking a green card have fueled billions in local real-estate projects, but not in the economically struggling areas the federal program was created to help. But here and elsewhere, the program is being exploited by promoters seeking ready capital for prominent, speculative projects in economically prosperous districts. The rules allow them to string together several areas of high unemployment with one of low unemployment, like Manhattan or downtown Seattle, then build their project in the more prosperous area. Henry Liebman, founder and CEO of Seattle-based American Life, one of the most prolific developers nationwide using EB-5 money, says the industry is simply doing what the government allows. The EB-5 program is so secretive and murky that its effectiveness in creating jobs and lowering unemployment is unknown, according to a Brookings Institution report. A blistering critique by the Department of Homeland Security’s Office of Inspector General in 2013 said there is so little tracking of EB-5 money that it’s impossible for the federal government to show the resulting investments have created jobs. The EB-5 program is so secretive and murky, its effectiveness in creating jobs and lowering unemployment is unknown. Federal rules let states decide how the economically depressed areas are defined. Washington state lets EB-5 promoters qualify by defining a “targeted unemployment area” for the program not just from full census tracts, but from smaller zones called census block groups, making it easier to attach high-joblessness areas to the more desirable location. “I’ve seen these areas of substantial unemployment gerrymandered across the country,” said Paul Harrington, director of the Center for Labor Markets and Policy at Drexel University in Philadelphia. Virtually no information is publicly available about individual projects or the criteria used to get them approved. And neither state nor federal officials will provide even a list of the projects or their targeted areas, calling it proprietary company information. Research by The Seattle Times shows EB-5 financing is booming in the Puget Sound region, helping to bankroll more than $2 billion in current projects. It’s a nationwide surge. Investor applications for the federal program soared more than eightfold from 2008 to 2014. Washington state plays a leading role. Industry pioneer American Life has recruited more than 10 percent of all EB-5 investors approved nationally for green cards since 1997. And Washington has more than 40 of the federally approved firms that pool capital from these immigrant investors, triple the number in 2013 and more than any other state except California, Florida, New York and Texas. Even the state Department of Commerce’s top EB-5 expert, James Palmer, left and launched one last year. Meanwhile, the industry is lobbying Congress to make the program permanent before it expires in September. Under one pending bill, family members of immigrant investors would not be counted in the 10,000-visa cap, potentially tripling the number of green cards available to wealthy foreigners and their families. Some EB-5 projects in Washington have gone to areas struggling to create jobs, such as Grant County. But more than half of the state’s EB-5 projects relying on the high-unemployment incentive are in King County, although it has the lowest jobless rate of the 39 counties. To steer capital to poor areas, the EB-5 law says immigrant investors can get the $500,000 green card by putting their money to work in a “targeted employment area” that has an average unemployment rate at least 150 percent of the national jobless rate. The EB-5 industry often gets creative when defining such an area. In some cases, the building blocks for a targeted area stretch across a state or wind through a city with an irregular chain of carefully chosen census tracts. EB-5 projects aren’t required to hire residents of the area that is used to qualify for the program, either. The industry’s trade group, the Association to Invest In the USA, or IIUSA, estimates that in 2012 the program created more than 19,000 jobs, mostly in construction, and the money spent by those workers created an additional 23,000 jobs. Today’s steady stream of EB-5 projects in prosperous areas appears at odds with what Congress intended in creating “the millionaire visa” in 1990. More than half of the state’s EB-5 projects relying on the high-unemployment incentive are in King County, although it has the lowest jobless rate of the 39 counties. “Ten thousand ‘job creation’ visas are provided for investors who invest in enterprises, especially in depressed rural or urban areas, which create a minimum of 10 new jobs for Americans,” said Sen. Ted Kennedy, D-Mass., when the law took effect in October 1991. Demand was far lower than expected, however. Critics noted that Canada offered green cards to wealthy foreigners on much better terms. A few years later, Congress liberalized the rules on how projects could take credit for creating jobs. And because Congress never raised the investment requirement, the visa effectively became cheaper, since the original $1 million threshold would be $1.8?million in today’s dollars. The EB-5 funding strategy took off in earnest after the 2008 financial crisis. As conventional lenders spurned speculative projects, real-estate developers discovered that EB-5 investors were a patient and willing source of capital, less concerned about the risk. While EB-5 is a tiny fraction of the foreign direct investment in the United States, it’s playing a role in a range of high-profile projects. Even New York’s $20?billion Hudson Yards redevelopment project, reportedly the largest private construction project ever undertaken in the United States, has raised about $600 million through EB-5. 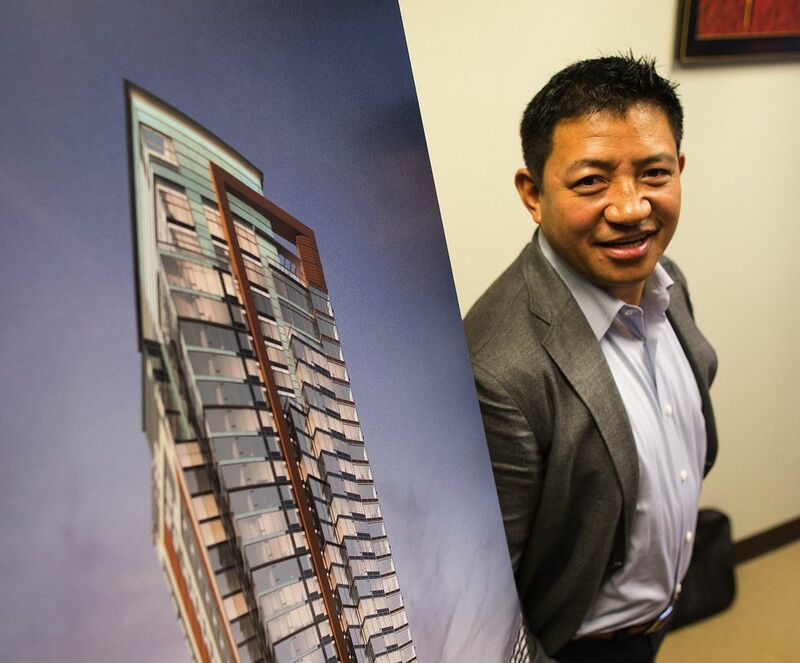 Seattle developer Kevin Daniels said he started considering the visa program after American Life, which manages 10 EB-5 investment centers nationwide, kept outbidding him in buying properties. 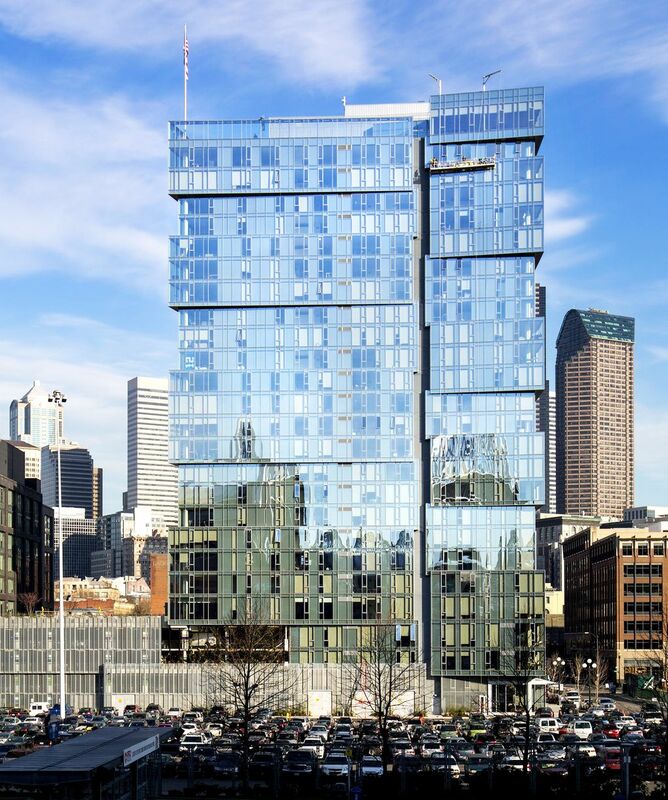 In 2008, Daniels Real Estate obtained permits to build Fifth & Columbia Tower, a glass-and-steel wonder that includes a 184-room luxury hotel and 528,000 square feet of office space. Eventually, though, he did raise money through an EB-5 investment firm called Seattle Regional Center, run by Kevin Stamper. Now, said Daniels, EB-5 capital accounts for about $250 million of Fifth & Columbia’s $440 million project. The targeted area initially approved by the state for the project consisted of 12 contiguous census tracts, stretching from Seattle’s Queen Anne neighborhood down to SeaTac and Tukwila, Stamper said. The area’s average unemployment rate was 13.8 percent in 2011 – just barely enough to qualify. Because the state’s approval expires every June 30, Stamper reapplied. But last year the same mix of census tracts wouldn’t have qualified since its overall jobless rate was too low. Last July, the state began letting EB-5 promoters use smaller census block groups, after urban developers complained it was too difficult to find individual census tracts, or a combination of them, that met the federal requirement for high unemployment. So Stamper focused the targeted area on downtown Seattle, pinpointing two census block groups. With just 1,150 residents in the labor force, some in homeless shelters, they had a 12.5?percent overall unemployment rate, enough to qualify as a targeted area. Other local EB-5 developers are taking advantage of the program’s targeted-area loophole to build projects in job-rich areas. 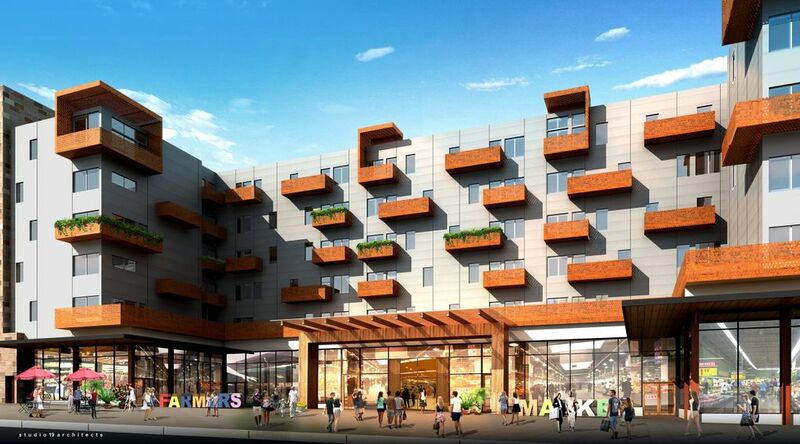 One of them is Tukwila’s Washington Place, a 19-story hotel and apartment tower that’s just a block from Westfield Southcenter, the largest indoor shopping mall in the Pacific Northwest. There are about a dozen hotels nearby, but the last one was built almost 20 years ago. Developers Omar and Christine Lee say they’ve recruited 132 investors from China, India, Vietnam and the Philippines to pony up $500,000 each for the $120?million project at the former Circuit City site. 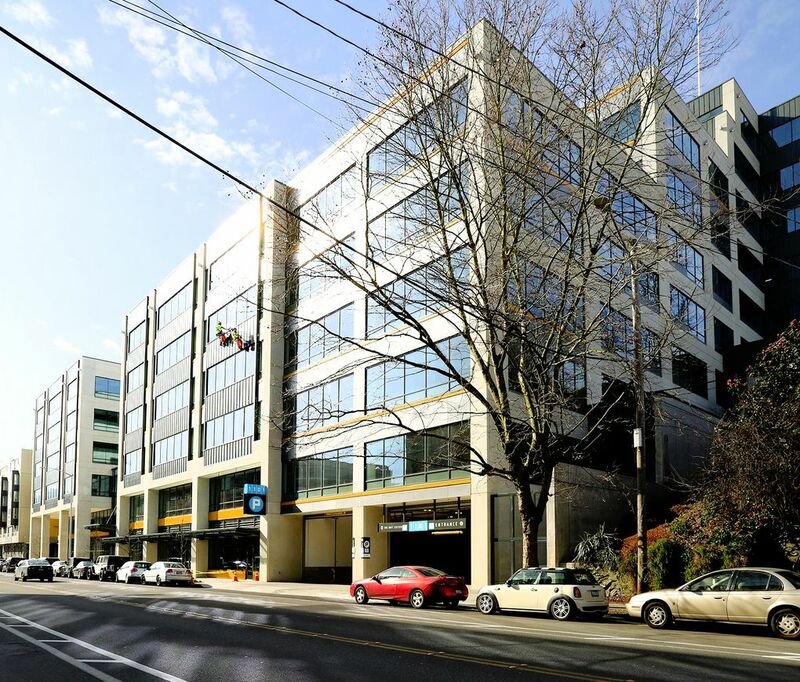 The project’s targeted employment area consists of seven census block groups and has an average jobless rate of 14.3 percent, according to an approval letter from the state obtained by The Seattle Times. The block group where the high-rise will be built has an unemployment rate of zero because it’s in a bustling commercial area with no residents. But the targeted area includes block groups in Bryn-Mawr Skyway, an unincorporated area about 4?miles north where unemployment ranges as high as 20.1 percent. Those neighborhoods boost the average for the targeted area enough to meet the federal program’s requirement. 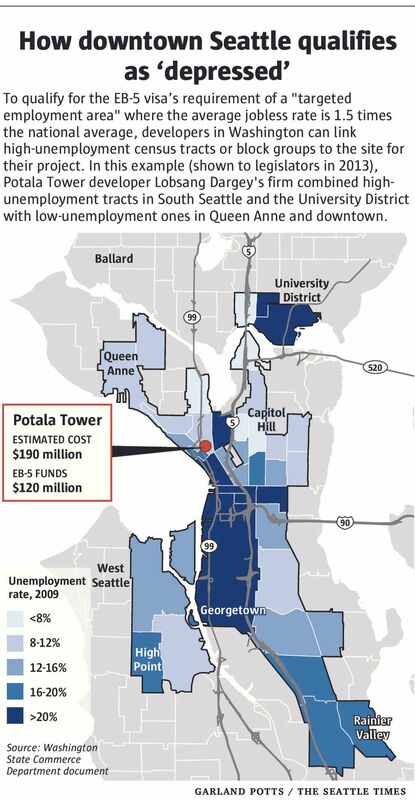 Similarly, the 40-story Potala Tower in Seattle’s Belltown neighborhood is in a census tract with a 2013 unemployment rate of 4 percent, state figures show. A spokesman for Potala CEO Lobsang Dargey, an immigrant from Tibet who now develops real estate as CEO of Dargey Development, wouldn’t identify the other tracts included in its targeted job zone. But in 2013, state lawmakers were shown a targeted area drawn up by Dargey’s firm. The targeted area was irregularly shaped, with census tracts that extended down through Rainier Valley, looped around to High Point in West Seattle and touched parts of the Central Area and the University District — all relatively high unemployment areas. Together, lawmakers were told, the linked tracts had an average jobless rate in 2009 of 14.1 percent. States vary in how much cherry-picking they allow. 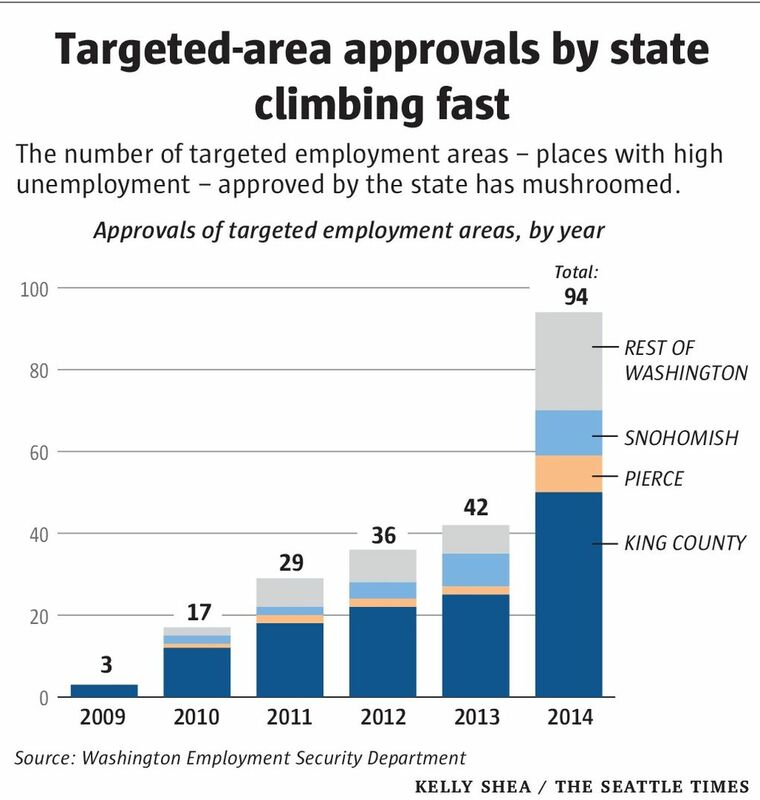 Robert Haglund, the administrator of EB-5 targeted area approvals for Washington’s Employment Security Department, said the state had the discretion under U.S. Citizenship and Immigration Services guidelines to let EB-5 promoters use the small census block groups. Oregon takes the same approach, he said. California requires using the larger census tracts; developers can string together no more than 12. Texas, at the other extreme, has delegated the decisions to city mayors and county judges, who may rely on the industry to tell them what’s appropriate. “It’s whatever anyone will sign off on,” said Paul Scheuren, an economist at industry consultant Impact DataSource in Austin, Tex. At the Tukwila project’s groundbreaking in September, developer Christine Lee said the project would create 1,600 direct and indirect jobs. 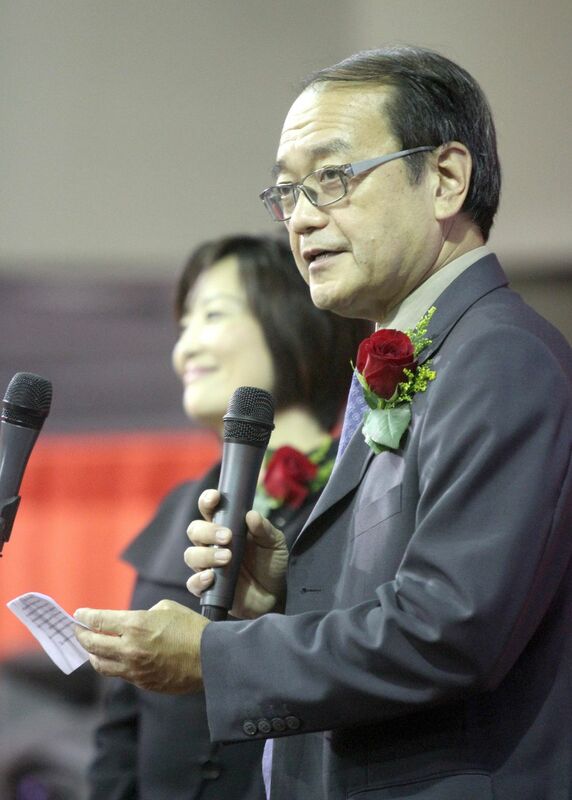 Gary Locke, former Washington governor and U.S. ambassador to China, added star power to the event. But under the law, Lee’s investors can take credit for a statistical estimate of jobs created indirectly — even a truck driver hauling carpet across the country to the hotel site. Before 2012, the federal government let EB-5 investors even count the employees of a building project’s tenants to meet the job-creation requirement, said Weber, the immigration attorney. Once that was reined in, EB-5 developers shifted from office projects to hotels, Weber said. Some developers across the nation are using EB-5 capital to infuse vitality into long-neglected neighborhoods, as the law was intended to do. In 2012, a Dallas developer opened the first full-service hotel to be built in South Dallas since 1946, according to the Boston nonprofit Initiative for a Competitive Inner City. The project was built in the Cedars neighborhood, which has a 40 percent poverty rate and high unemployment. A public-private partnership between the city and an asset-management firmfunded it with $5.5 million from 11 EB-5 investors. Under an agreement with the city, at least three-quarters of the hotel jobs were offered first to local, low-income residents in Dallas. And the hotel operator, NYLO Hotels, gives staff 80 hours of training. To gauge the project’s impact, the city is tracking many indicators, including jobless rates, per capita income and crime rates. That’s far more data than the federal immigration agency collects on EB-5 projects. EB-5 “is a pretty blunt instrument now,” said Kim Zeuli, research director at the Initiative for a Competitive Inner City. The federal program should be revamped “to support projects that would not have been funded otherwise, especially in parts of the country that need it most,” she wrote recently in a journal published by the Federal Reserve Bank of Boston. Mary Trimarco, an assistant director in the state Commerce Department, said there are no similar public-private partnerships in Washington state to use EB-5 money for high-priority needs. Her department has no say in defining or approving the EB-5 areas in the state, and she wishes the federal program was refocused away from commercial projects that could find other financing. “If you use a little imagination, there are a lot of things that could be done with EB-5,” she said, listing affordable housing, college dormitories and research parks. Lance Matteson, executive director of the nonprofit SouthEast Effective Development, a community-development corporation focused on Seattle’s Rainier Valley, said the area badly needs jobs, but to date there have been no EB-5-funded projects built in Southeast Seattle. With key provisions of the EB-5 program to expire in September, three senior Republican senators have asked for a review by the Government Accountability Office (GAO), an independent watchdog for Congress. Stamper, the EB-5 investment broker, said he favors a more uniform way to define the areas to which investors’ funds are steered. The state Commerce Department’s Trimarco is also ready to see some changes.